Pilgrims walk through the streets toward the Cathedral Basilica of SS. Peter and Paul for the vigil Mass of Our Lady of Guadalupe Dec. 11. 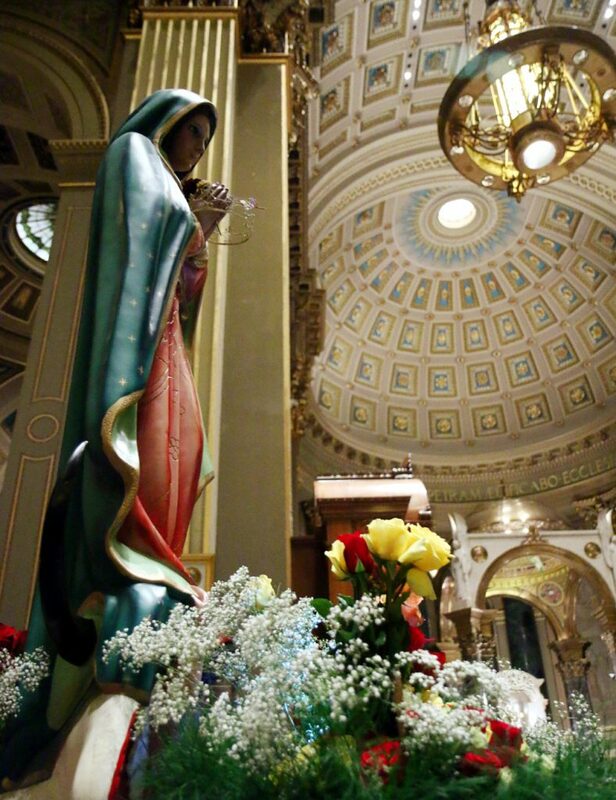 A statue of Our Lady of Guadalupe in the cathedral greets the faithful processing in for Mass. 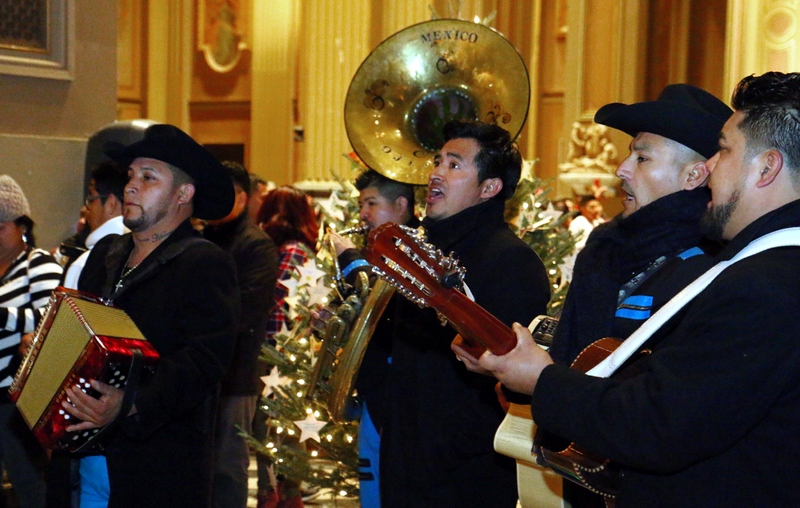 A mariachi band strikes the right notes of sacred festivity. 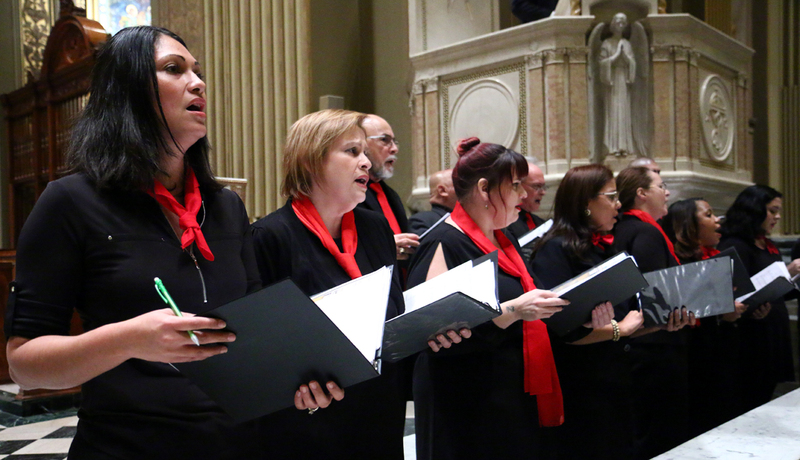 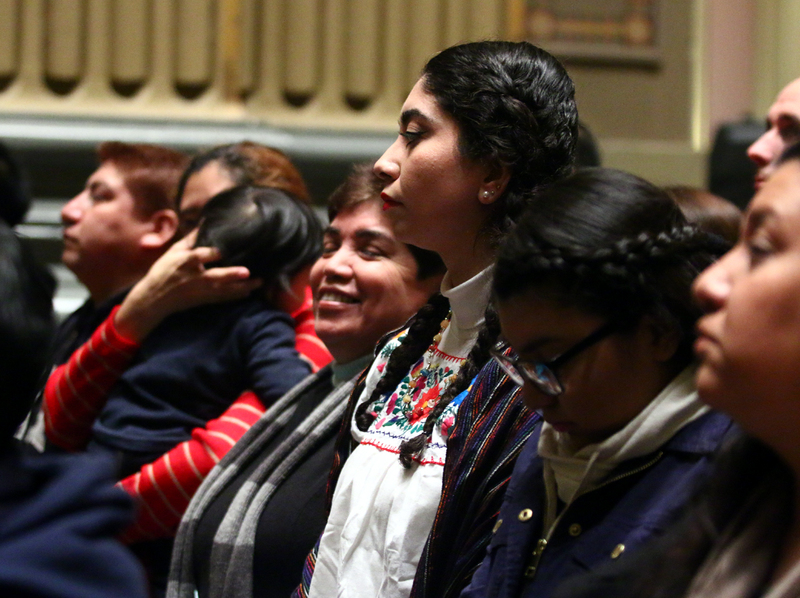 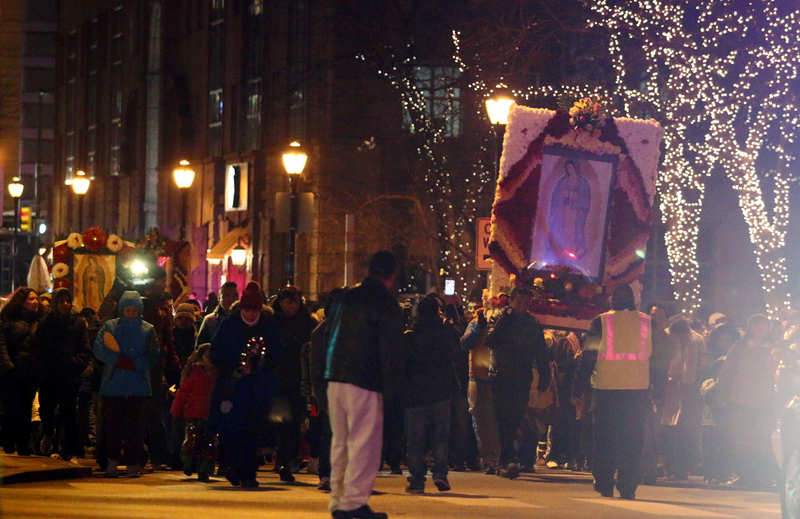 A choir leads the congregation in a song of devotion to Our Lady of Guadalupe. 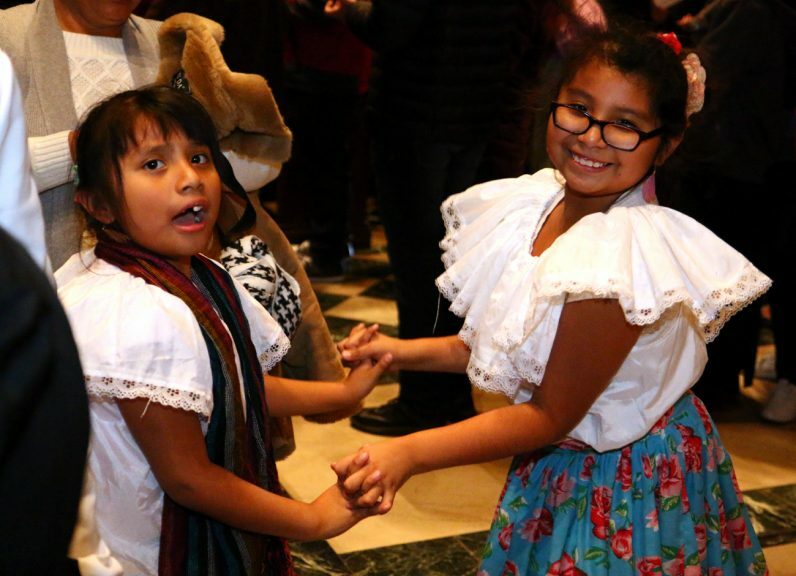 Aneesa and Aisha Solis dance in the cathedral before Mass. 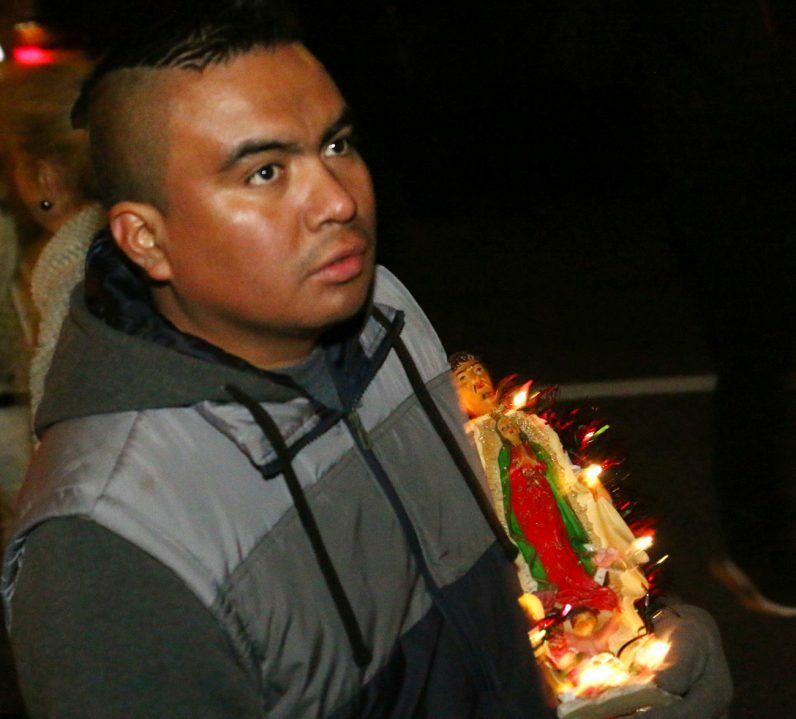 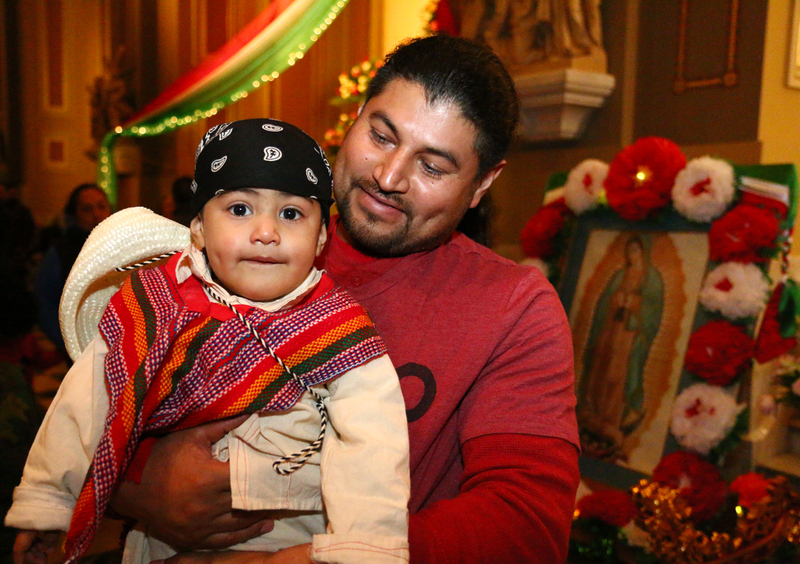 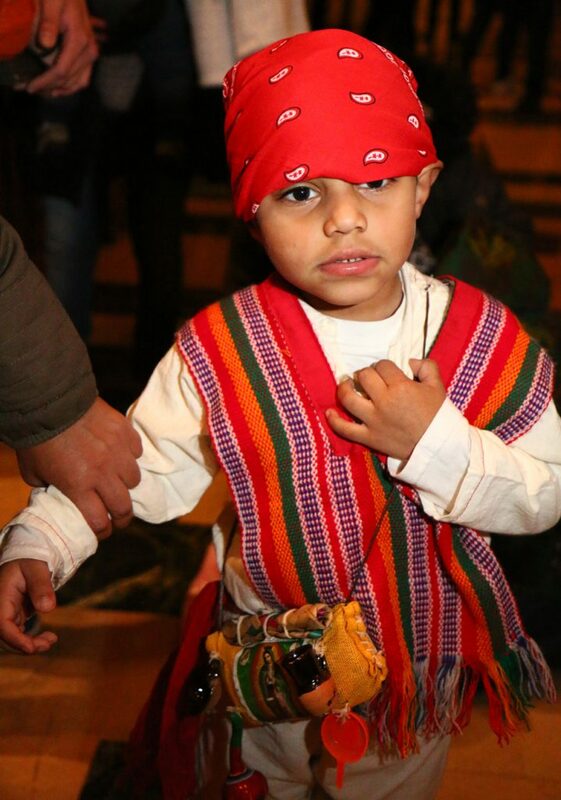 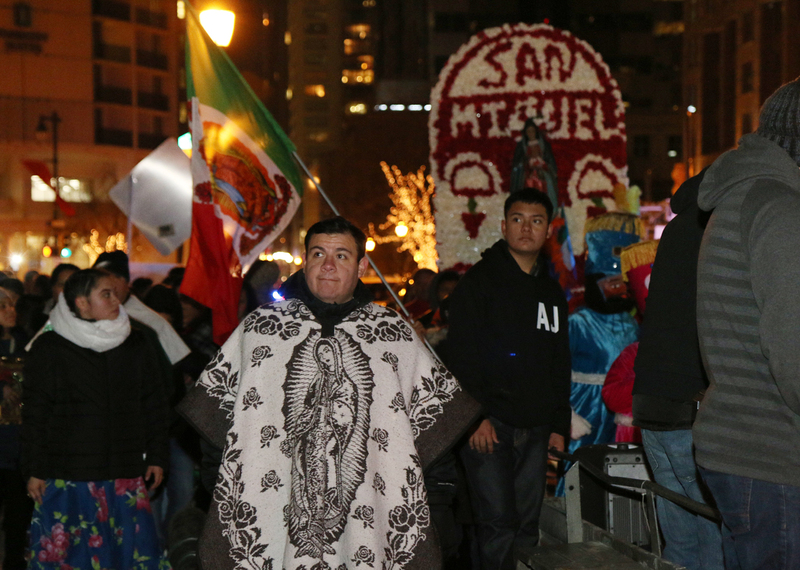 Matthew Guzman-Sanchez, like other young boys at the Mass, dresses as St. Juan Diego, the man who witnessed the apparitions of Mary in Mexico in December 1531. Gender Guzman holds his son Gender Guzman-Sanchez. They are members of St. Thomas Aquinas Parish in South Philadelphia. 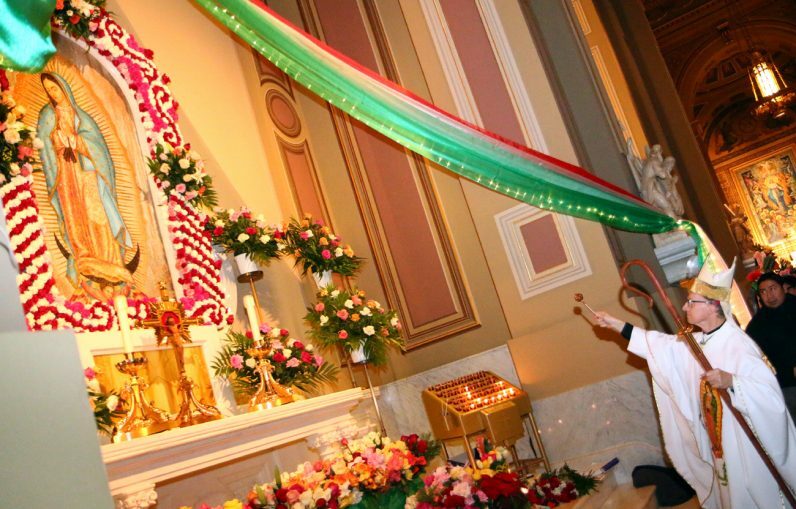 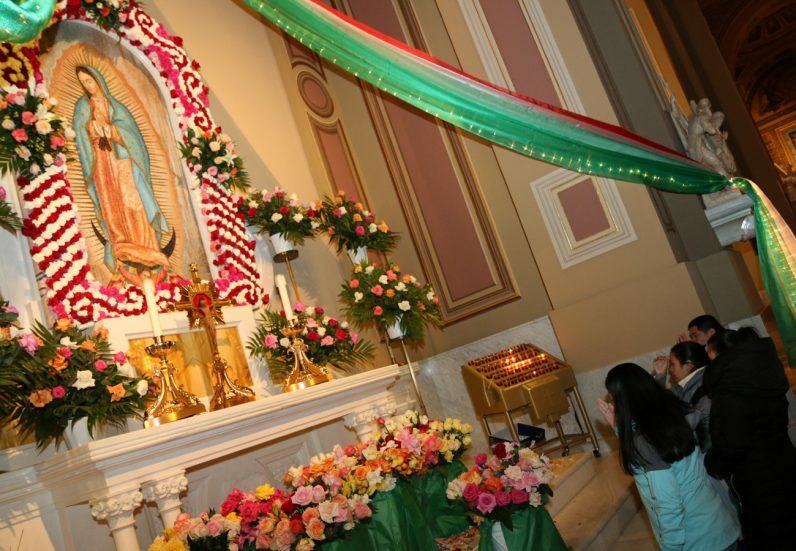 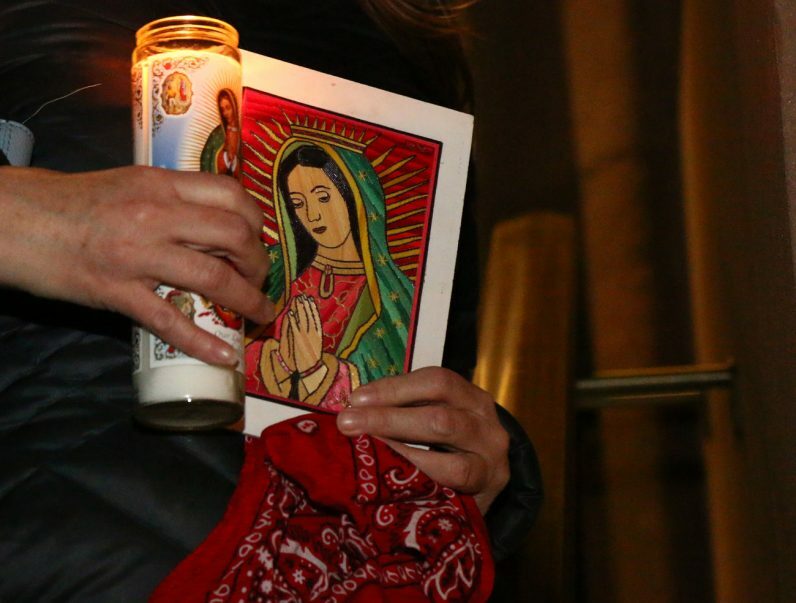 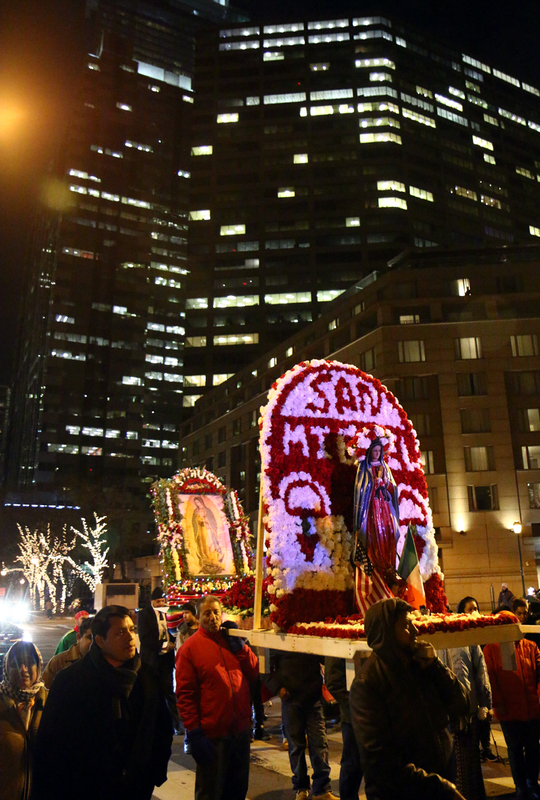 The faithful pray at the cathedral’s shrine to Our Lady of Guadalupe, especially decorated for the occasion. 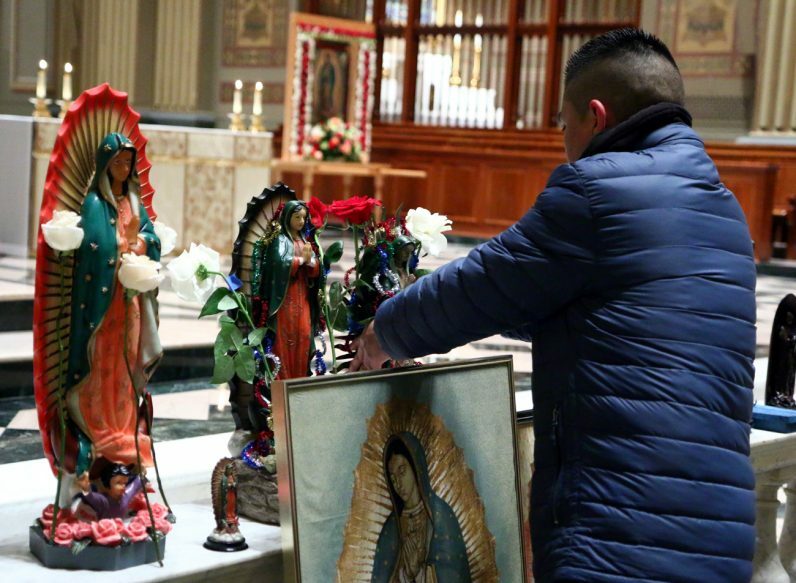 Luis Villanueva from St. Thomas Aquinas Parish places his statues before the altar to be blessed before Mass. Bishop Edward Deliman, celebrant for the feast day Mass, blesses the shrine to Our Lady of Guadalupe. 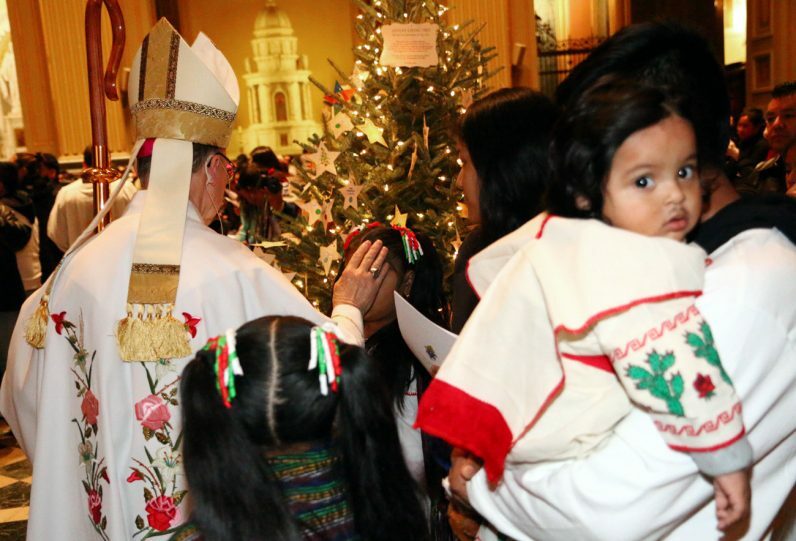 Bishop Edward Deliman blesses children along the jam-packed aisles of the cathedral. 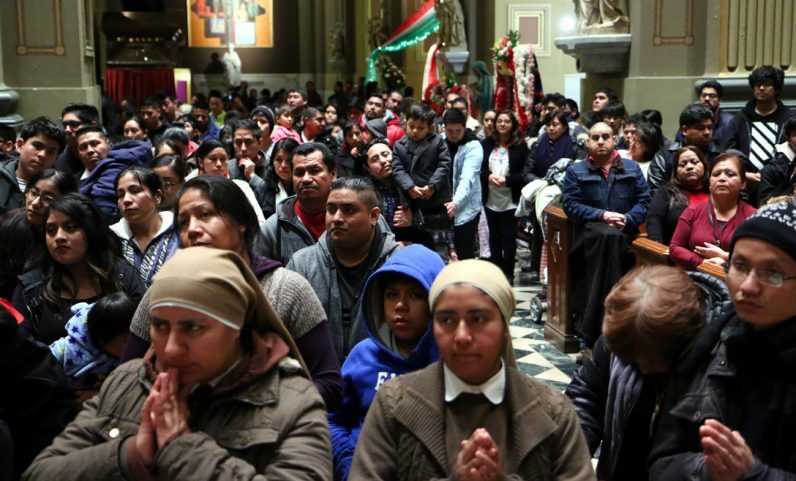 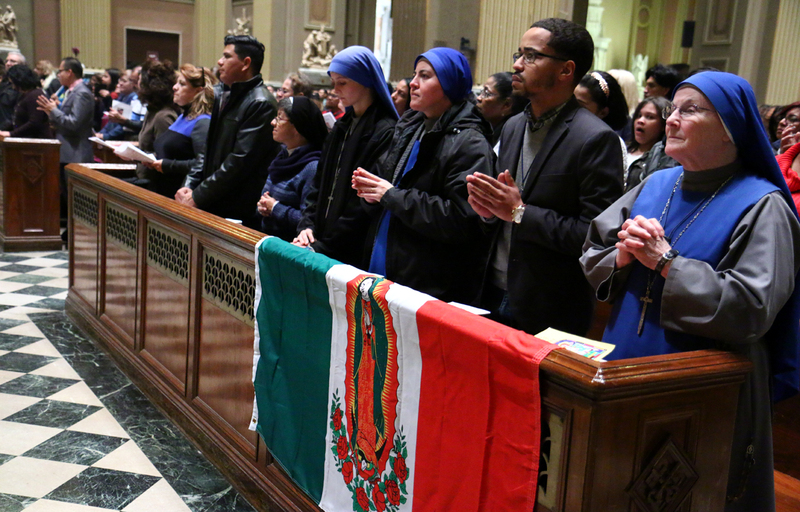 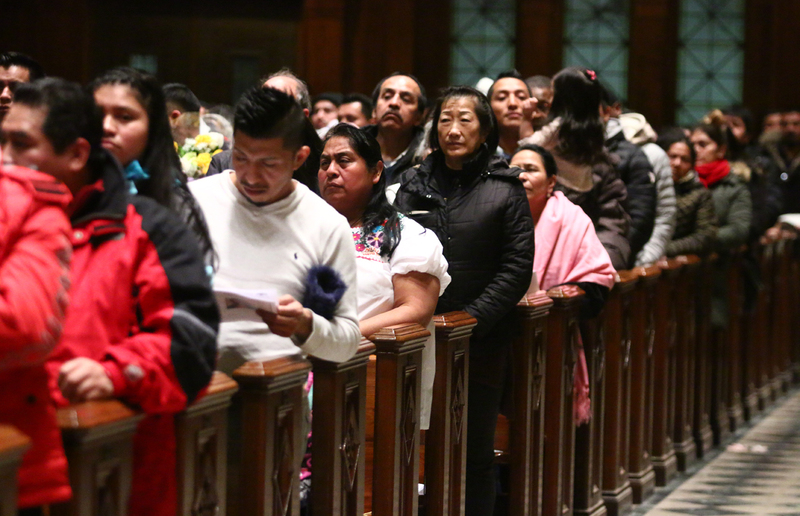 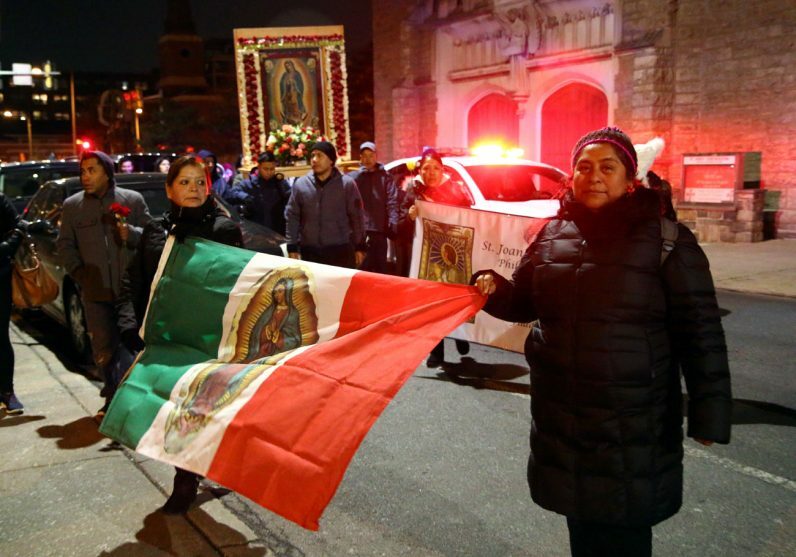 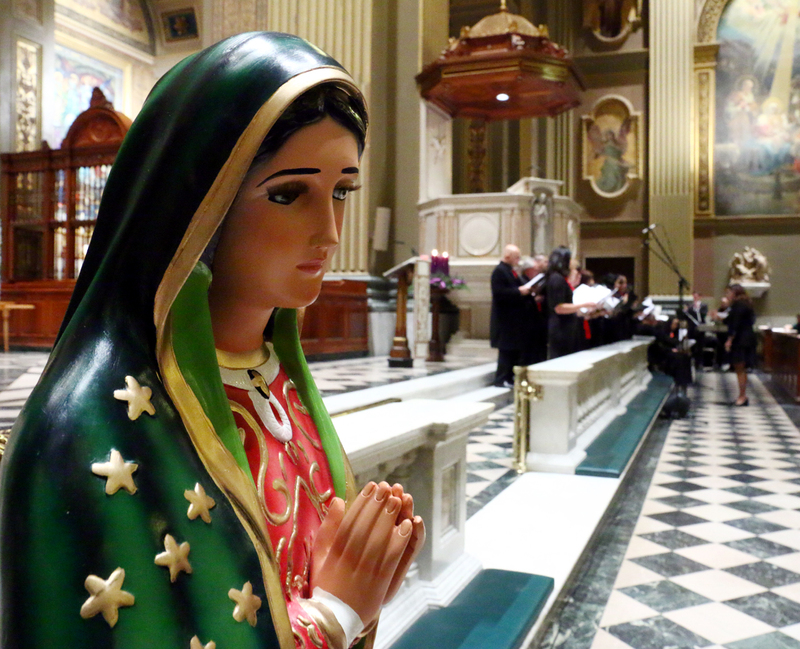 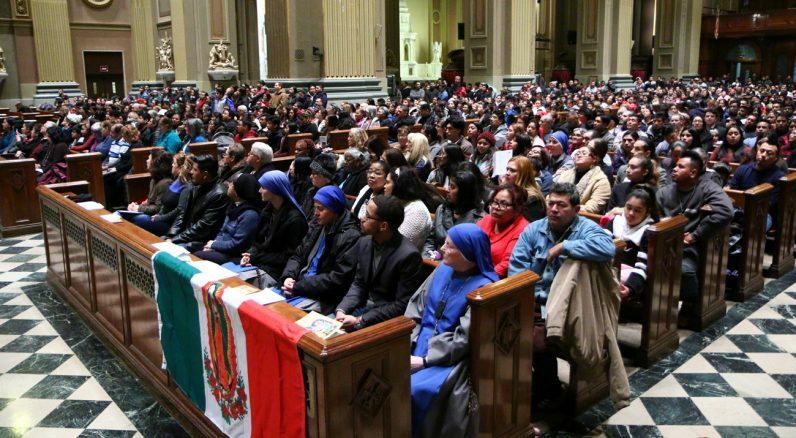 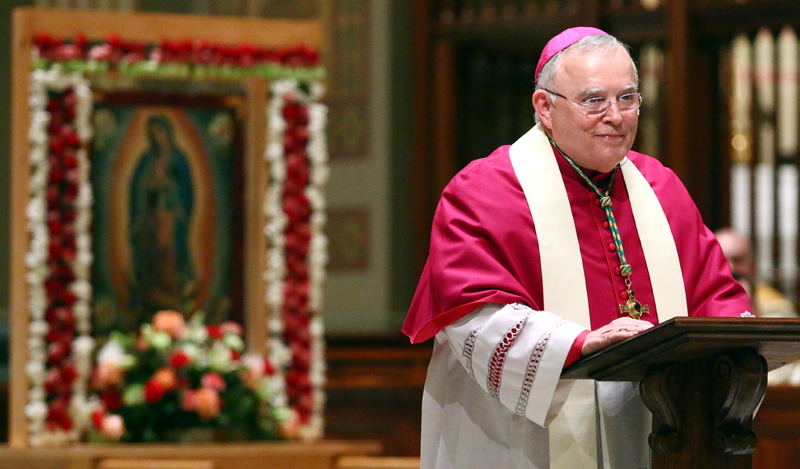 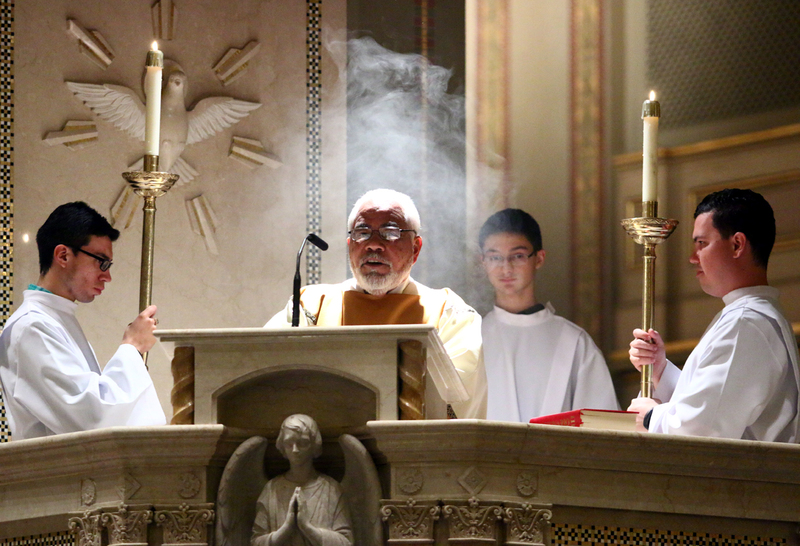 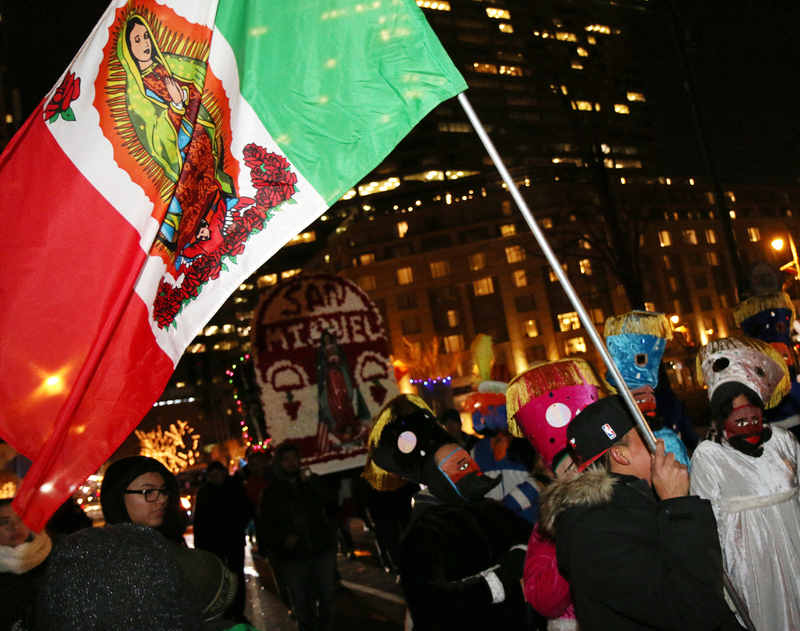 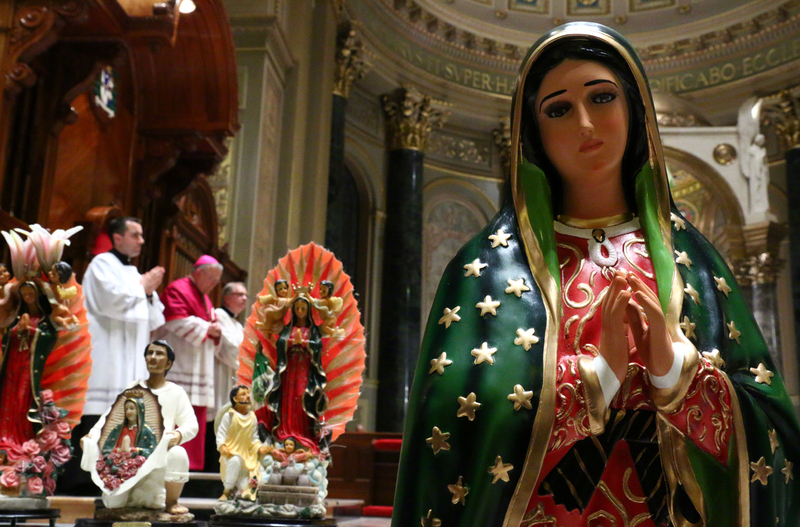 Archbishop Charles Chaput preaches the homily for the Mass honoring Our Lady of Guadalupe.